Welcome guys, to the month of semptember. 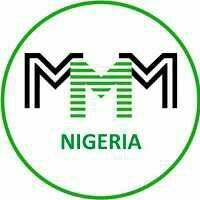 You may have come across an online investment scheme tagged 'MMM Federal Republic of Nigeria' on differrent social media platform, some may wonder what MMM is about, others may say its the latest way to make quick money. According to Investopedia.com, a Ponzi scheme is a fraudulent investing scam which promise's high rates of return with little risk to investors. The scheme generates returns for older investors by acquiring new investors. My advice is that one should be very careful when investing on MMM, if you choose to invest, invest with the amount of money you can do away with if anything goes wrong. Dont use your life's savings on MMM just because the little money you invested gave you some good returns, then you want to invest very huge amount in other to get very huge return?